AWeber Autoresponder Review - Is AWeber Right for You? AWeber Autoresponder Review – Is AWeber the Right Autoresponder for You? Total transparency: We’re proud to be affiliated with the companies we use and recommend and may receive compensation for doing so. Email autoresponders (like AWeber) are a lot like Lamborghinis and Yugos. I saw an ad recently about a company that lets you drive laps in their Lamborghini for $500 or so. And I thought, “That would REALLY be fun.” Lamborghini’s are amazing, high-tech cars. They go fast and they look like something out of a sci-fi movie. Doing laps in one would be an experience I would remember forever. Zoom. Zoom. (Hmmm… maybe I should book one of those driving experiences for myself). But, buying one to drive every day is a different story altogether. Lamborghini’s run around $200,000 or so. And while it would be fun to drive one for a day, taking one on Route 422 into King of Prussia (and then trying to park it without getting it scratched) seems like a bit of overkill for my everyday life. On the other hand, I do like a NICE driving experience and don’t want to drive around in a stripped down car without ANY amenities at all. That’s not very fun and doesn’t make for a good experience. So, typically I buy the best car I can comfortably afford and that will meet my needs. Not a Lamborghini, but also not a Yugo (remember those death traps?). When you buy an email marketing solution or autoresponder, you also want to buy what will suit your needs. There are some seriously souped-up autoresponders out there. These tend to be expensive and come with a HUGE learning curve. There are also some “freebie” types that I wouldn’t touch with a ten-foot pole, because they won’t grow with your business the way you will need them to. That’s where AWeber comes in. AWeber is a ‘just right’ email marketing solution that is easy to learn, easy to implement, and doesn’t cost a lot of money. 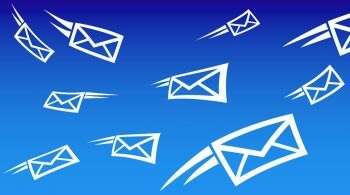 Why pay for an autoresponder service? Email marketing is one of the best ways to reach an audience. It allows you to develop a personal relationship with people that aren’t available with most other mediums. But there are a lot of rules when it comes to email marketing. These are called the CAN-SPAM rules and you MUST comply with them. You can choose to set this up and try to comply with them all yourself (which is difficult and time-consuming), or you can pay a company that is expert at it to do it for you. AWeber is one of these companies. They will make sure that your emails comply with all the regulations. Plus they have a lot of features that allow you to easily set up your marketing campaigns and have them run on autopilot. 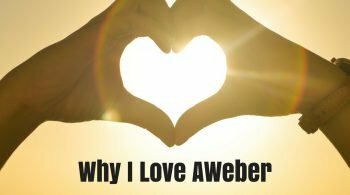 What’s so special about AWeber? Not all autoresponder companies are created equal. AWeber really stands out from the crowd in several areas. Ease of use. AWeber is easy to set up and manage. Customer service. AWeber has live help by chat and by phone and the people who are in customer service are very knowledgeable. If you don’t know how to use any part of the service just ask them and they’ll give you a prompt courteous answer. Deliverability. When you use AWeber your emails will get through. This is super important. 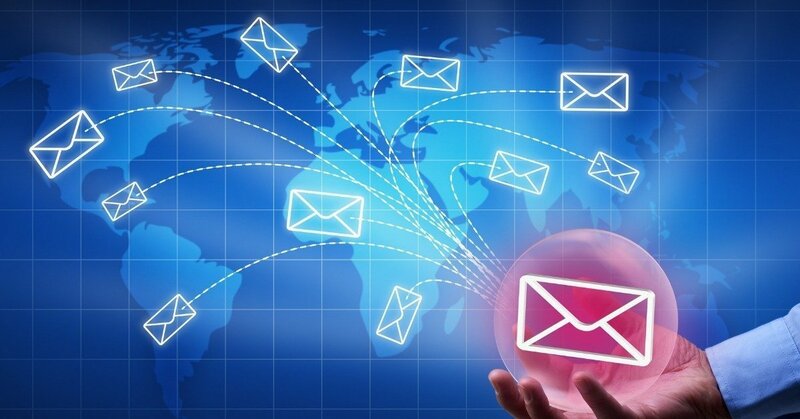 If your emails aren’t delivered your autoresponder campaign won’t work. And you spend too much time and money getting those subscribers for them not to get your emails. That’s why good deliverability is so important. The service starts at just $19 a month for up to 500 subscribers. They always let you send unlimited emails and the price goes up as your subscriber base goes up. So it grows with you as you grow your business. You can get your first month for just $1 FREE by clicking here. This allows you to *test drive* their services so you can see if they are a good fit for you. The only real downside to AWeber is that they don’t have automatic list segmentation. When you do email marketing it is a good idea to create smaller sub-lists that have specific interests. These are sub-lists that you market specific types of products and services to. For instance, if you have a business that sells ski equipment you may want to know whether or not your customer has children and then send them the new line of kid’s skis that your company just developed. In order to do this in AWeber, you need to have them sign up to a new autoresponder using an autoresponder form. This is a perfectly good way to segment your list, but is not as elegant or as easy as tagging. If you want to use tagging to segment, there is another service that integrates really nicely with AWeber – AW Pro Tools. AW Pro Tools allows you to tag subscribers when they click on your links. This means that if a customer clicks on a link that shows your new line of kid’s skis you can instantly put them in another list and then send emails based on that specific interest. It’s pretty powerful! This type of tagging has only been available with very expensive “Lamborghini” email marketing solutions in the past. And it puts AWeber on steroids. To watch a video of how this works go here. If you are just starting out with email marketing, then I don’t recommend that you get AW Pro Tools right away. Just get started with AWeber first. As you continue to use it more and more in your business, you might eventually have a need for it down the road – add it on then. But if you are a little more experienced, and you know you will want to segment your list, check it out. It creates tagging functionality within AWeber at a fraction of the cost of those “Lamborghini” solutions. Update: AWeber now offers tagging, click automations, and many other features that make it one of, if not, the number one email marketing service provider on the market today. You can see an updated post with all the features and benefits AWeber has to offer here. The best way to buy AWeber is to go directly to their website. You can get the $1 FREE one month trial and give them a test drive to see if you like the service. When it comes to email marketing AWeber is an excellent solution.